The Medical University of Gdańsk (MUG) is the largest medical university in northern Poland, located in one of the most beautiful cities in Europe with an old town and beautiful sandy beaches. 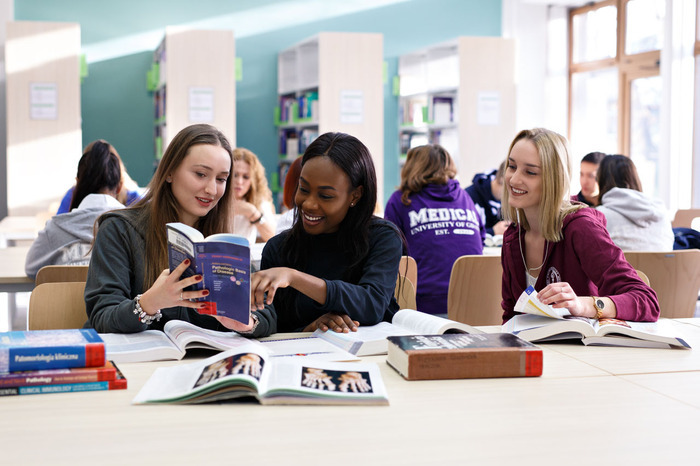 According to the 2018 higher education ranking of the Perspektywy Education Foundation, the MUG is the first medical school in the country and ranks among the top ten of the best Polish state universities (7th place). 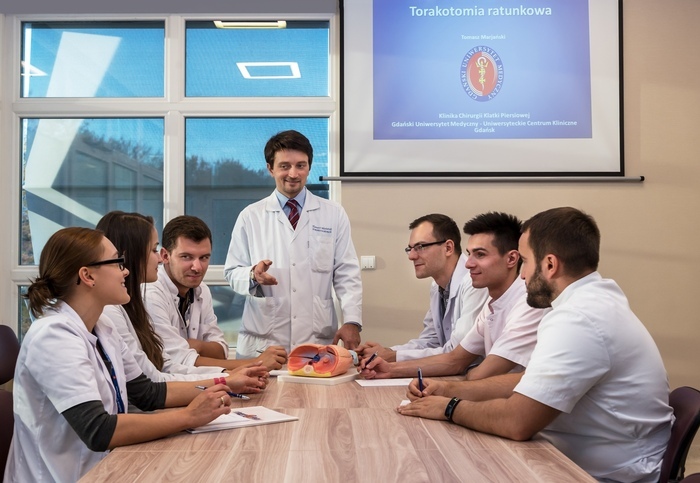 Every year, many young people make efforts to study at the largest medical school in Northern Poland. The MUG educates more than 6000 undergraduate and postgraduate students at 4 Faculties: Faculty of Health Sciences, Faculty of Medicine, Faculty of Pharmacy and the Intercollegiate Faculty of Biotechnology. The MUG offers Premedical Course, Medicine Doctor Programme, Pharmacy Programme, Nursing Programme which are taught fully in English. International students constitute more than 17% of the MUG’s students and represent more than half of all international students in Gdańsk. Most of them come from Sweden, Norway, India, the Kingdom of Saudi Arabia, Canada, the UK, the USA, Iraq, Germany and Spain. The MUG constantly improves its clinical and teaching facilities. In the end of 2011 the University Clinical Centre has been successfully modernised. Our main hospital – the Invasive Medicine Centre (IMC) is one of the most modern hospitals in Europe. The new investment of the MUG – Non-Invasive Medicine Centre (NIMC) together with the IMC is the one of the largest and newest hospital complexes in Poland. On six floors (including underground) are located such clinics as Obstetrics, Neonatology, Gynaecology, Oncologic Gynaecology and Endocrinology, Nephrology, Transplantation and Internal Diseases, Internal Diseases, as well as 1st and 2nd Cardiology Clinics. We also have a modern Sports Centre. The dormitories are situated on campus, very close to the classroom buildings. The campus consists of four dormitories with space for 1000 students, the student club “Medyk”, a grocery shop and a photocopy shop. There is also a canteen, which offers meals at student-friendly prices. All the dormitories are connected to the Internet. Akademia Lekarska (Physician’s Academy) was founded in Gdańsk on October 8th 1945. Its history relates to the centuries-long tradition of medicine in Gdańsk, practiced by surgeons associated in the Surgeon’s Guild since 1454 as well as the medical teaching and research conducted at the Academic Gymnasium (Atheneum Gedanense) founded in 1558. Soon after World War II ended, Akademia Lekarska was founded in Gdańsk and in 1950 it was renamed to Akademia Medyczna (Medical Academy). Among the professors of the newly-established university, there were many exceptional Polish scholars from pre-war Polish academic centers such as the University of Stefan Batory in Vilnius, who resettled in Gdańsk after their cities were incorporated into the Soviet Union. The Intercollegiate Faculty of Biotechnology was founded in 1993, a joint unit of the Medical University of Gdansk and the University of Gdańsk. The Nursing Programme began at the Faculty of Medicine. This was the first step towards forming the Faculty of Health Sciences. English Division of Faculty of Medicine was established. The Faculty of Health Sciences with Subfaculty of Nursing was established. The grand construction of the Clinical Hospital began. The Medical Academy of Gdańsk was officially renamed to Medical University of Gdańsk. The new name confirmed ou University’s true rank and status. Completion of construction of the Invasive Medicine Centre. The Faculty of Pharmacy with Subfaculty of Laboratory Medicine was formally recognized as a Leading National Research Centre (KNOW) for the years 2012-2017. The cornerstone was set for construction of the Non-Invasive Medicine Centre (NIMC). Completion of construction of the Non-Invasive Medicine Centre.